Today only (5/1), 1Sale offers Nautica Blue Eau de Toilette 3.4 oz. Spray for Men for $12.99 + free shipping. 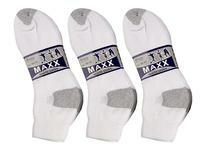 Today only(4/26), 1Sale offers a 12-Pack of MAXX Athletic Comfort Socks, in 3 colors, for $9.99 + free shipping. Note: order may take up to 4 weeks to ship out. Today only(4/10), 1Sale offers the Nike EV0651-440 Pulse Men's Sunglasses, for $29.99 + free shipping. 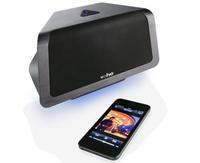 Features: 100% UV protection and includes storage pouch and cleaning cloth. 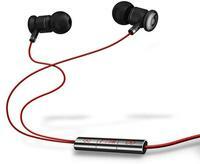 LivingSocial offers the Powerbeats by Dr. Dre Earphones for $99.99 with free shipping. 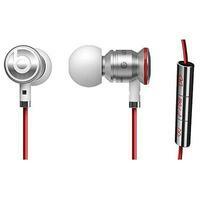 Woot offers the Beats by Dre urBeats Earbud Headphones w/ Built-In In-Line Mic for Calls for $39.99 with free shipping. 1Sale offers the Slazenger Men's Classic Athletic Pattern Crew Sock 18-Pack in four colors/combos,for $19.99 with free shipping. Today only(12/31), 1Sale offers the Angelina Seamless Sports Bra 6-Pack for $22.99 with free shipping. Today only(12/31), 1Sale offers the refurbished Hisense 50" 120Hz 1080p WiFi LED-Backlit LCD HD Television, model 50K610GW, for $399.99 with free shipping. 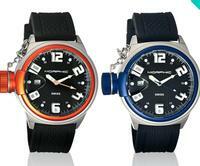 Today only(12/31), 1Sale offers the Morphic Men's M24 Series Watch in 5 colors for $39.99 with free shipping. Note: it may take up to 4 weeks to ship. 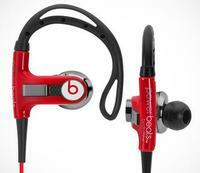 Today only (12/30), 1Sale offers the Beats by Dr. Dre Powerbeats In-Ear Headphones for $69.99 with free shipping. Tanga offers the 6 Pack Seamless Sports Bra with Removable Padding for $19.99 with 1.99 shipping. Today only, 1Sale offers the HUTT 46303 4-Tier Shoe Rack for $14.99 with free shipping. Today only. 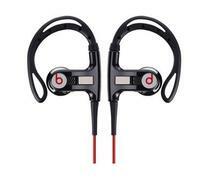 1Sale offers the Beats by Dre urBeats Earbud Headphones w/ Built-In In-Line Mic for Calls for $44.99 with free shipping. 1Sale offers the refurbished Neato All-Floor Pet / Allergy Robotic Vacuum System, model: XV-21, for $199.99 with free shipping. A 90-day warranty is applied. Today only (12/17), 1Sale offers the Logitech UE 4000 Headphones for $29.99 with free shipping.